Every goddamn day: 04/21/19: Vacation's over. Upon reflection, of course a dusty grocery on a congested street in unlovely downtown San Pedro, Belize, was not going to have actual Cohiba Esplendidos sitting in a box on the counter for $10 a stick. 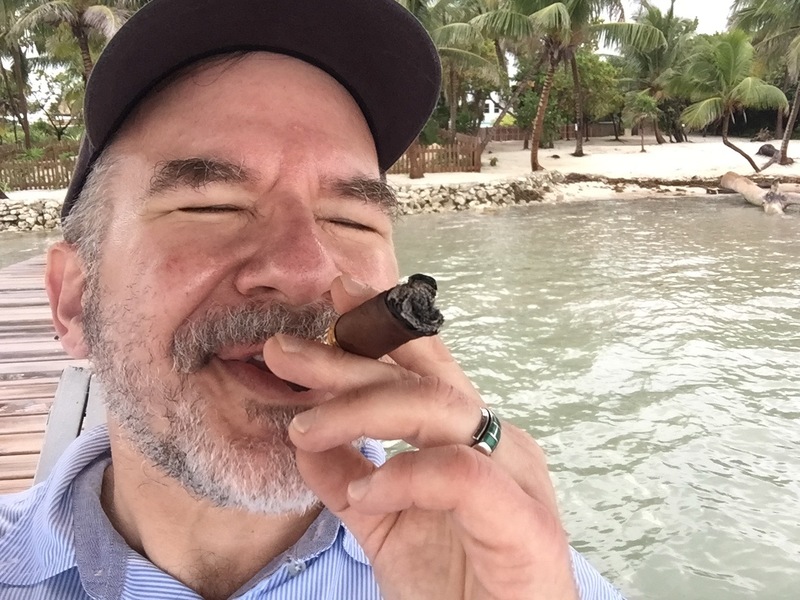 But in the moment, as I fingered the substantial cigar, that chip of larceny jammed in the heart of so many men gave a little shiver, and I ponied up $20 Belize—the smallest Central American country prudently pegs its currency to the U.S. dollar at a convenient 2-to-1 ratio. The cigar looked real enough, with its shiny label proclaiming "Habana, Cuba." And like dupes everywhere, I wanted to believe. 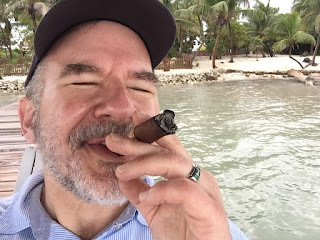 The stogie was tucked away for the perfect moment, when the rains subsided Saturday afternoon, before the final dinner of our luscious 8-day excursion among rainforest, rivers and ruins. It was only when I popped the thing unlit in my mouth, and tasted a certain ... green sourness ... did I think, "Duh. Smart move Neil." Okay, I thought, deflecting self awareness, putting the bright spin on things, too mellow to allow myself to be annoyed. Nothing to do but shrug, snap it in half and throw the fraud away. A sophisticated man would have known better, but I am not a sophisticated man And anyway: what's another 10 bucks down the tubes in the cost of a vacation like this? In the money-burning potlach of squiring me, the wife, the two boys around the Yucatan peninsula, with drivers and guides and boat captains? Besides, what choice is there? Not too smart to smoke a fake cigar. God knows what's in it, chemicals and such. It could be dangerous. And yes, that's supposed to be ironic. But I didn't throw it away. I tucked the cigar in my shirt pocket. Sometimes a cigar is just a cigar, as Freud said, and while it probably wasn't a Cuban, it still had a certain well-packed quality to it. It had to be good enough to fool people. I try to be fair, even to questionable cigars. Figuring it made sense to give this fellow a chance, I walked it out of the house, down the beach, and to the end of the pier, where the obligatory grass hut looked out over the requisite flat horizon. I settled in a white wooden chair and fired the charlatan up. The author, in an uncharacteristic pose. Not bad. Not bad at all. It burned unevenly, and didn't seem what I remembered Cohibas to be. Yet a mild, serviceable cigar. I didn't fling it away. And a reminder that when the best isn't available, a reasonable facsimile will often do. Just as the vacation might not have really been the rich man's idyll I pretended it was. Certainly an acceptable imitation. It would do. I'd always wanted a vacation where I did nothing, stared at the water, and relaxed. Thinking nothing is actually wonderful, and while I don't want to make a career of it—too many Americans have staked out that territory already—it does make for a welcome change of pace. I even took a cigar-smoking-selfie, as a tribute to my reader Chris Wood, whose Facebook page is studded with them. Not that the whole trip was sitting around doing nothing. 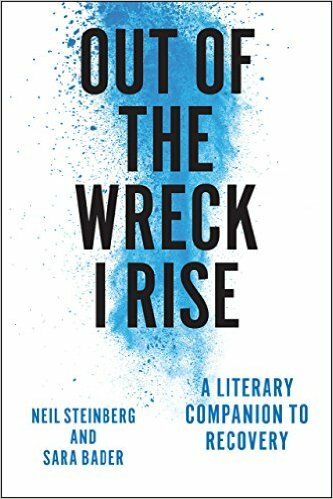 There was the lovely family wedding that drew us all down there in the first place, and many memorable moments that might bear relating: the unexpected appearance of Mennonites. That larcenous monkey who tried to steal my iPhone. I'll see if my writing engine hasn't seized up from neglect and try to get the thing to turn over, setting a few of those down tomorrow. We got in late, after 10 p.m. Sunday. I wanted to say ... something ... to show I hadn't forgotten you ... at least not completely. I did forget you for long stretches, which was sort of the idea. I hope you didn't forget me too thoroughly, not so much that you won't wander on back. See you tomorrow. There's a very funny Charles Portis novel, "The Dog of the South" in which a guy chases his wife, who has run off with his beloved car and her ex-husband, all the way to Belize. You'll have to read it to find out if he's chasing after the car or his wife. Never question whether or not you want to read a Portis novel. He's always worth your time. Neil, I'm assuming that you have to be kind of a cigar sophisticate to be able to know immediately a Cuban is not a Cuban by sticking it in your mouth. I used to enjoy a occasional cigar but never reached that level and never got anywhere near a Cuban. Another adventure missed. From Thackeray, the Virginians: O blessed idleness! Divine lazy nymph! Reach me a novel as I lie in my dressing-gown at three o'clock in the afternoon; compound a sherry-cobbler for me, and bring me a cigar! Dear slatternly, smiling Enchantress! They may assail thee with bad names—swear thy character away, and call thee the Mother of Evil; but, for all that, thou art the best company in the world! Interesting, I did not know there where Mennonites in Belize. You learn something new every day. Never saw the pleasure in stogies, but must assume Neil has a tolerant spouse. Else he would be facing a marital breakup like that once celebrated by Mr. Kipling. For things are running crossways, and Maggie and I are out." Things go badly until a bitter end justified by the immortal line, "And a woman is only a woman, but a good cigar is a smoke." Not to split hairs, but Maggie is only affianced. Hence the title, "The Betrothed." Though I suppose it could be considered a marital breakup, of a sort. That said, yes, my wife understands that the occasional indulgence is the bedrock of a happy marriage.